The study of the Civil War is always a tricky topic with my family heritage being from New York and my husband’s from Mississippi. For this reason, I was thrilled when we were able to obtain a copy of Time Travelers American History Study: Civil War from Home School in the Woods. Journey with us as I provide an overview of this product and our thoughts as we reviewed it. The Time Travelers American History Study: Civil War is part of the History Through The Ages series from Home School in the Woods. It has 25 days of study that can be spread over 5-10 weeks. Although the study is designed to be used with students in grades 3-8, it can easily be expanded with additional resources to be used at the high school level. This is exactly how we used this resource with our son who is a high school freshman. The downloadable files are formatted into easy to follow menus. Each lesson is broken into three sections within the menu item for that lesson: text pages, project pages, and masters for the lesson. The text pages are the base information for the lesson that contains the teaching content. There are generally 2-3 text pages per lesson. The project pages contain a summary of the activities and directions for completing them. The masters are the actual pages to print for each of the activities for each lesson. I chose to print the text and project pages, but these could easily be used from your computer without printing. This Civil War unit certainly covers the issue of slavery, but there is also so much more. Many resources equate the Civil War with slavery while in reality there were many other issues at play. These other factors as well as battle strategies, life during those times, and different aspects of military life are all covered. Prior to undertaking lessons for the day, I would pre-print the text pages, project pages, and the masters for the activities that we would be doing that day. Days 1-4 of each week each contained new learning material and activities. Day 5 would be an opportunity to complete activities from Days 1-4 that we did not have time to get to, more thoroughly complete activities we began but could expand upon, and also contained FactFile Cards for vocabulary, significant events from the week, or other terms or concepts to review. We would begin our lesson by reading together the text pages. These pages were written in dialogue that sounded very conversational and really brought the events to life. My son who is normally bored with traditional textbook reading was hooked by the story-like nature of the text pages. These were accented by the inclusion of primary source documents, such as the inaugural addresses of Abraham Lincoln. Using primary source documents allows you to get to know the man behind the event and not just what may have transpired. A copy of the Gettysburg Address included as one of the primary source documents in the study. Some days we completed all of the activities within a given lesson and on other days we were selective in the activities we were going to complete. In doing this unit with our high school aged son, we spent little time on the copywork that was provided. There was a lesson that contained information on the dress of women during the time that did not grab our son’s interest. However, the activity that allowed him to put together overlays of the uniforms that various soldiers wore and their significance or history was a much bigger hit. I truly loved that we were free to personalize the study to fit our interests and level without feeling like we failed in some way by not completing every single activity/master. On most days, we spent approximately 60 minutes on the daily lessons and activities combined. There were some days that our time on this Civil War study exceeded that because of interest. For example, we studied the significant role of the flag bearers as a major source of communication on the battle front. Our learning took us outside where our son took on the role of a flagbearer and sent messages using a flagpole we had at home. He soon realized not only the importance of this job, but also the physical toll it took in waving a heavy flag for an extended time in sending messages to his comrades. Some of the other activities that we did each day were placement of figures and events on a timeline, mapwork outlining and sequencing the battles in the war, and lapbook activities. One of the things that this study brought out in our son that I previously was unaware of was his love for cooking. He prepared us a meal of Sausage & Apples from a recipe that was included in Day 10 of the study along with biscuits and scrambled eggs. He looked forward to the 5th day of each week where new recipes were presented. Because of our mixture of Yankee and Rebel blood in our family lines, he was interested to do a little extra research to find that Sausage and Apples was a favorite of troops specifically in Virginia. Loving our Civil War Cooking! To bring the unit to a close, there is a planned Jamboree when the 25 lessons have been completed. This is a time to make a feast from the different recipes provided, dress in time appropriate costumes (instructions for making these are included in the activities in the unit), and even play corn cob checkers which was another hands-on activity. It is an opportunity to take the whole family back in time and create your own living history. We would definitely give a thumbs up to Home School in the Woods on the job they have done in presenting the Civil War through their Time Travelers American History Study: Civil War unit. It is a great survey of this critical period in U.S. History. Students will not only receive an overview of the Battle Between the States, but start to live it through the wide variety of crafts, lapbook activities, cooking, and other activities. Because this study is generally intended for use with those in grades 3-8, we did add in pieces of literature, audiobooks, documentaries and additional internet research to increase the depth of study for our high schooler. It is in adding these additional elements that it truly could become a 10 week study while still doing history each day even for younger learners. The freedom to choose from a breadth of activities allowed our son to explore areas of interest to a greater degree and also cover the material in the time we had allotted without cutting out critical elements. The Civil War unit is just one in the History Through the Ages. Home School in the Woods has other series and products that may be of interest as you explore both World History and history from all periods of time. A couple years back we had the opportunity to review the Great Empires study from their Activity Studies. A copy of our review can be found here. We encourage you to stay tuned in the coming weeks as we have the fortune to be also be reviewing their new Project Passport World History Study on Ancient Egypt. A full list of their products can be found here. 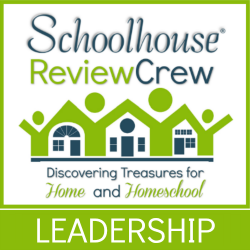 So the next time you have a history unit that you would love to explore using lapbook activities, primary source documents, crafts, cooking, timelines, and maps, I would encourage you to consider the vast array of studies from Home School in the Woods. Disclaimer: I received a free copy of this product described above in exchange for my honest review. I was not required to write a positive review nor was I compensated in any way. All of the opinions shared in this review are mine or those of my family members. This is being disclosed in accordance with FTC Regulations. This is great! So glad your family enjoyed it! Thanks for stopping by. We really did enjoy the study and are looking forward to visiting Ancient Egypt with Josh. It will be interesting to see how the Project PassPort studies may vary.